When in February 2015, I was on deciding the name for this baby space, I had no idea that I have the capability to reach to that stage I'm right now. I had everything in mind, scattered in pile and pile of ideas to what I actually want this site/brand to be and what I have to do when it's ready. But I tell you, implementing the plan always have the different story line than what you originally plan out. Lately, so much have gone under the change and in action behind the scene of the blog. So thought I would highlight here today. The most fun and exciting phase was to be part of beautiful brand stories of the most talented bloggers and biz owners I know. Starting from August 2015 to present, it was a steady learning curve. Every project was unique and each process has been such an adventure. 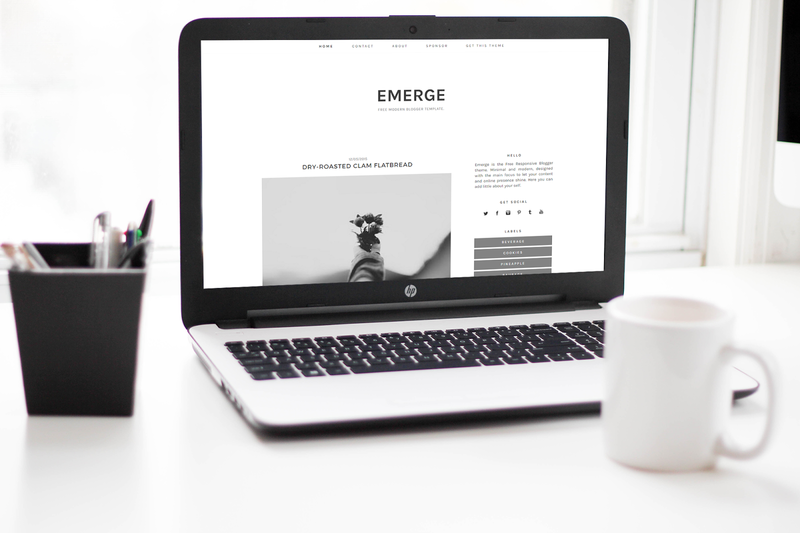 Introduced this back in December 2015, a responsive and minimal Blogger theme for the start-up bloggers or for anyone who need a fancy looking blog but are not ready to invest in it. The good thing it's free! Comes with email sign up. And you know what? It's satisfy me more than my paid services, why? you wonder. Because when I first moved to Blogger in 2013 and needed a clean theme to showcase my baking articles that would also outshine my personality without adding too many tones of color and graphics. At that time I couldn't find any and started DIYing my blog - years later, here I am giving away the same need I needed the most. Right now, plans are to update this theme to version 2.0, few more elements to be added and fix some bugs. Visiting KSA was such a blissful and glorious experience that took place in December 2016. (Can't explain in proper words!) 15 days, 14 nights in the holiest cities. 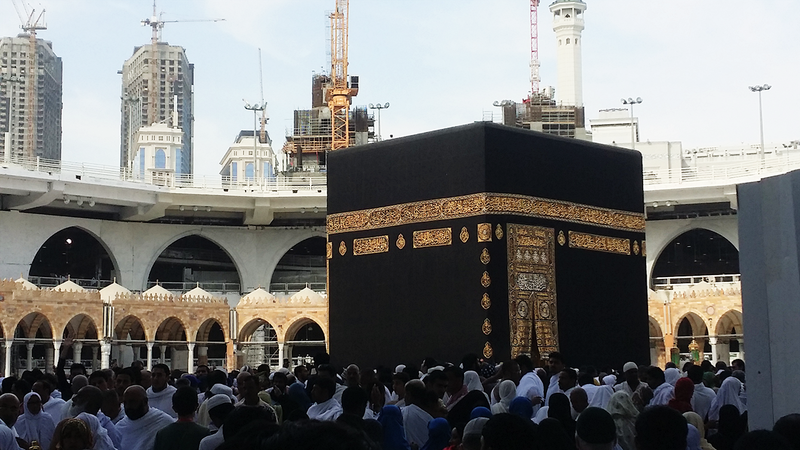 Performing umrah for the first time. 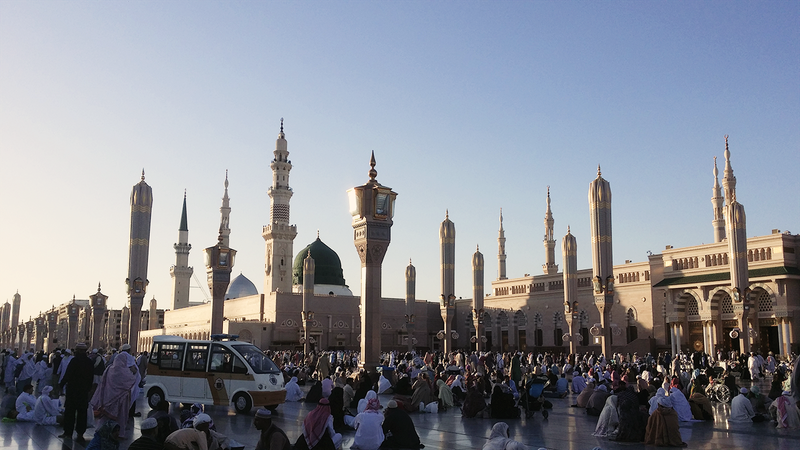 Roaming around the streets of Makkah and Madinah. Observing their lifestyle/culture. Shopping in the markets. Waking up to tahajjud and walking to Masjid al-haram in the fresh cold of morning with a warm cup of chai in hand and shawl wrap around abaya. Every minute was like a dream, the one from which I didn't want to wake up. I wanted to be there forever, still the time and live it. But one has to get back to reality after a dream, right? So did I and still, after almost a year, everything is stuck in my mind + heart. The experience you get from offering sallah near Kaaba (or in al-haram) is something you can never ever compare to anything in this duniya. SubhanAllah! And I pray May you all visit the holy land at least once in your life span, inshAllah! When DBF introduced in 2015, it has entirely different look than what you are seeing now. Change was required which I was yearning to do it since forever. My aim was to build it stronger, more visual appealing and true to the mission. It took a bit longer to reach here but I'm glad that it eventually happened. The whole look + layout is build and customized by yours truly, any constructive feedback is more than welcome, y'all! As in that time I was working with people to design their brands, I was also focusing on designing the life that needed to be designed and structured out. And that was the main reason this blog was on hiatus for such a long time. I felt I wanted to put this time into areas where I needed to workout and get better at, flex my skills and most importantly frame out my mission statement to work and life, which I let it all flow naturally. Isn't someone has rightly said, "The most valuable thing you can give yourself is the time to grow and become your best self"? All in all, so grateful for every serendipity come my way, for everything I learnt and every moment I lived. And I hope to continue doing my best in everything I do.